The Lotus Elan is a British sports car with a cult following around the world, since it was first introduced it’s had an impact on the motoring world that can still be felt today almost 60 years later. 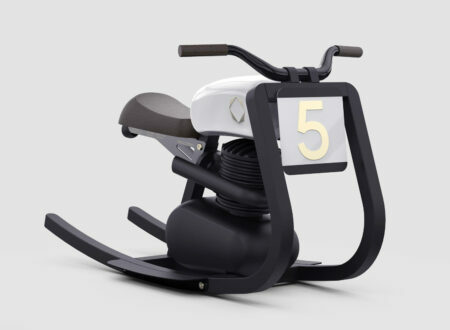 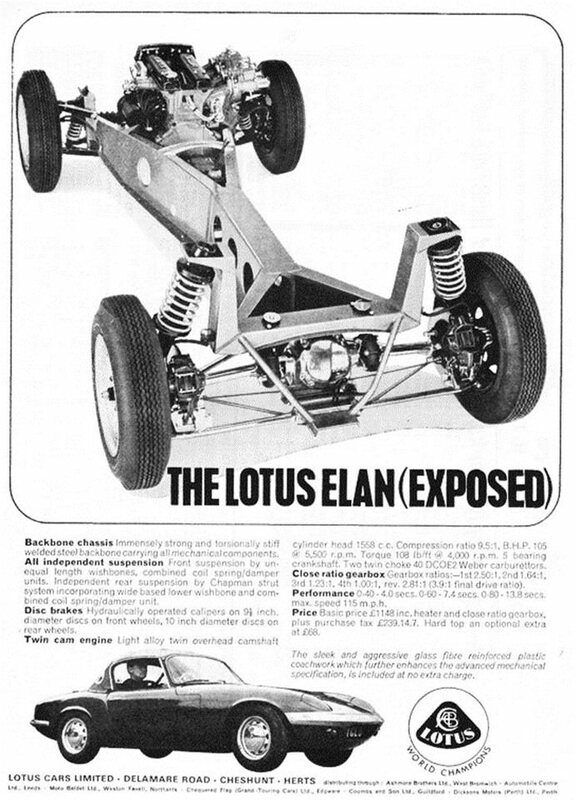 Perhaps the greatest accolade the Elan ever received was when Formula 1 and supercar designer Gordon Murray expressed disappointment that his then-new supercar the McLaren F1 didn’t quite have the perfect steering of a Lotus Elan. 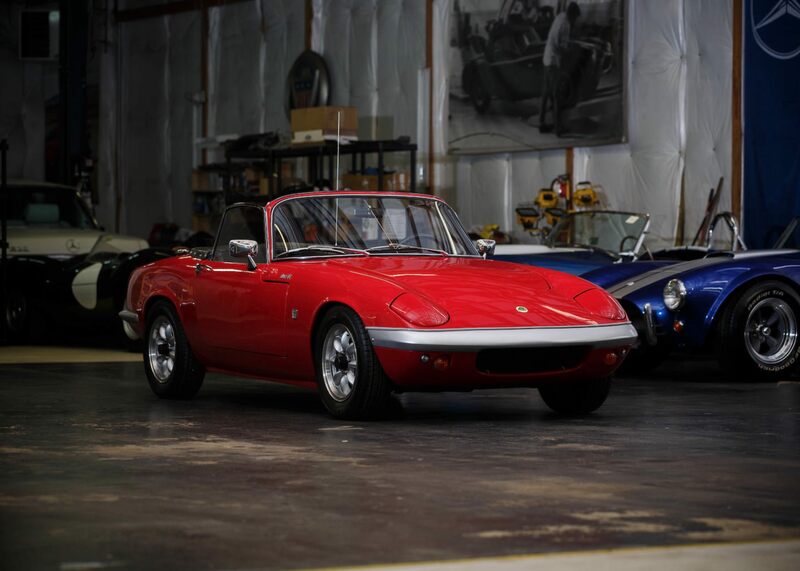 The first Lotus Elan appeared in 1962 as a roadster, with a 1498cc engine based on the popular Ford Kent Pre-Crossflow 4-cylinder unit that was used extensively in Britain and Europe. 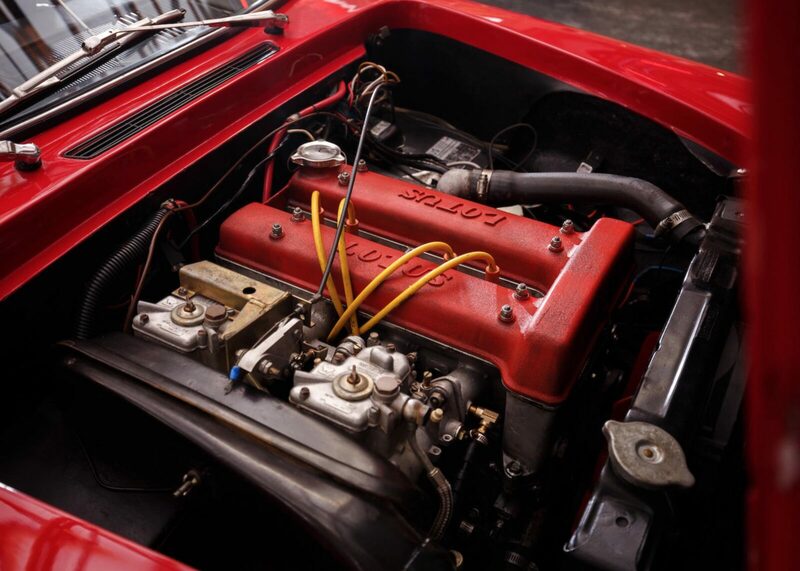 After the first 22 cars were built the engine was enlarged to 1558cc – known as the 1600 Twin Cam. Interestingly, the engine was largely developed not by Ford but by an Englishman from Coventry called Harry Mundy. 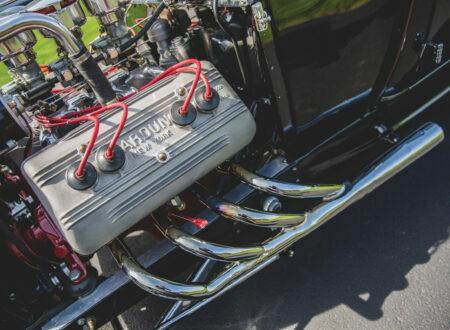 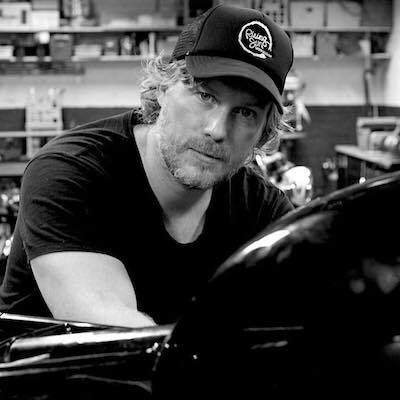 He took the Ford 4-cylinder block and developed an all-new head for it with two chain-driven overhead camshafts, two valves per cylinder, and overhead spark plugs. 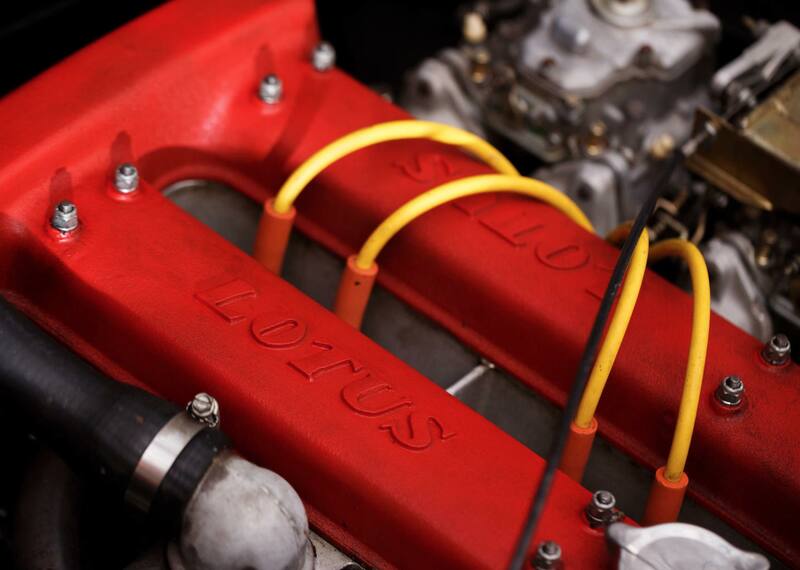 This engine proved to be remarkably well designed – likely because Harry had previously been the head of the design office at British Racing Motors (BRM), working on the design of the BRM V16 Formula 1 engine. 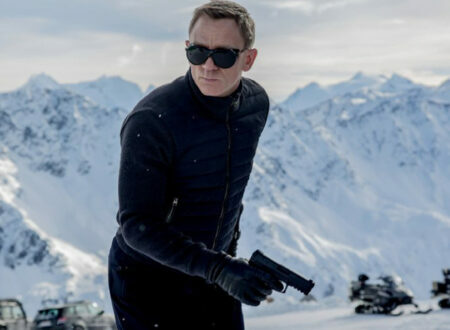 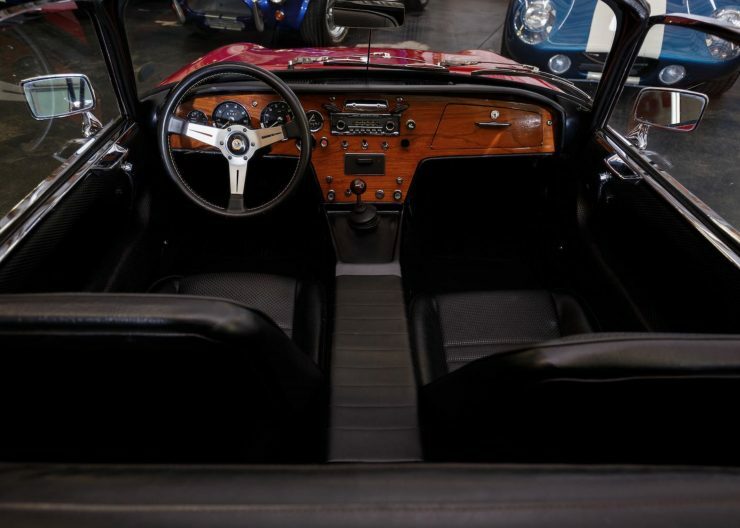 Over the course of his remarkable career he would also design the Coventry Climax FWA engine, the Jaguar V12, and he would work as the Technical Editor of The Autocar magazine. 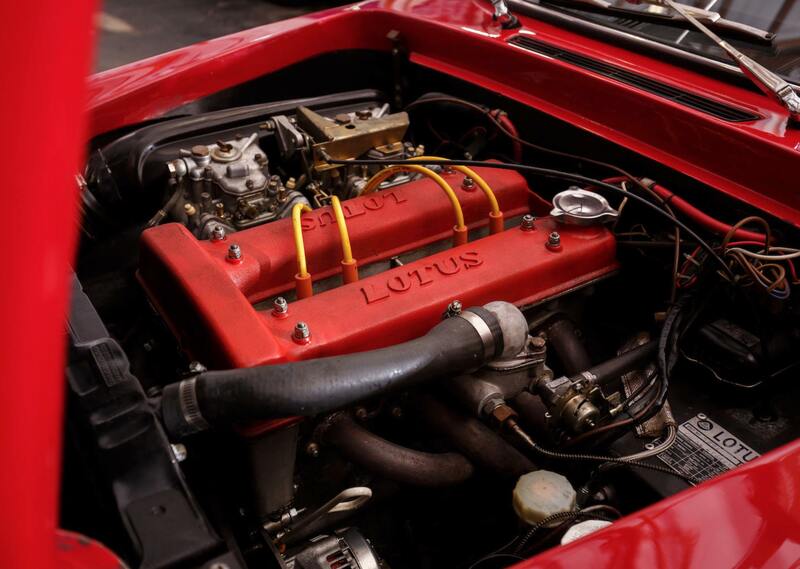 The founder of Lotus was the larger than life character Colin Chapman, the man who coined the phrase “add lightness”. 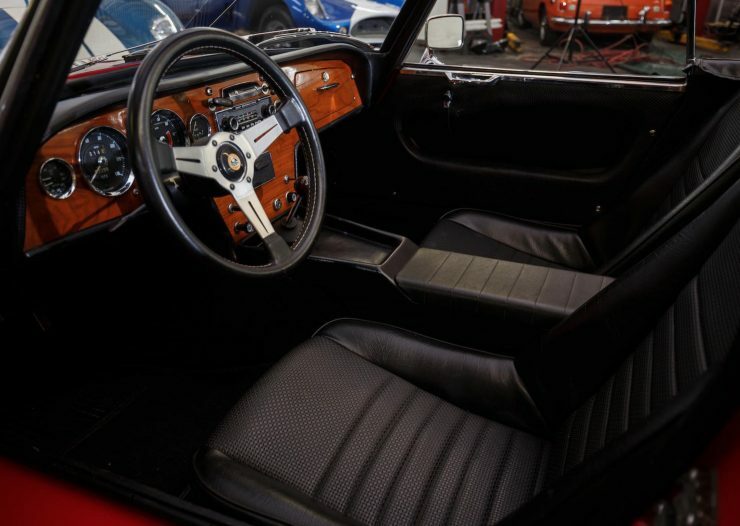 His core philosophy for racing and performance cars was to remove as much weight as possible, as a lower weight improves acceleration, braking, and cornering performance. 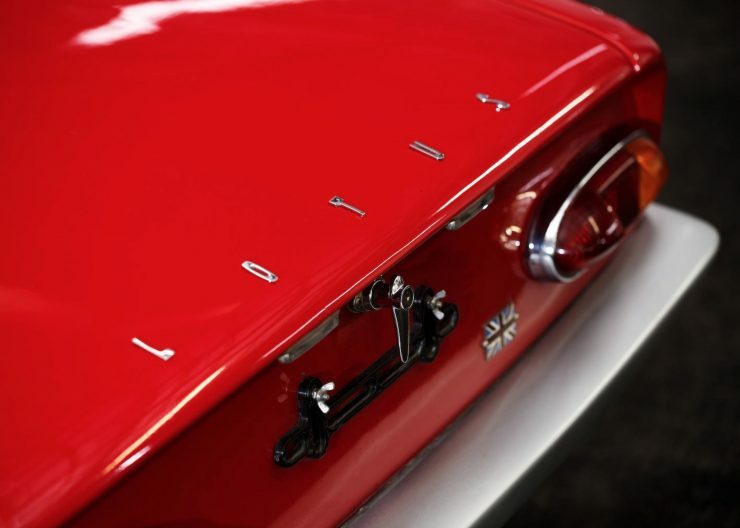 The design of the Lotus Elan incorporates a steel backbone chassis (see image below) with a lightweight, bolt-on fiberglass body – the kerb weight is just 1516 lbs (688 kgs). 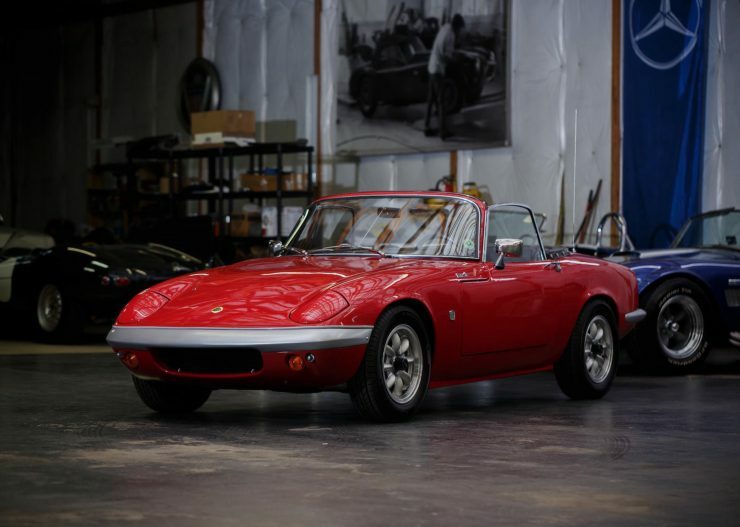 The Elan also boasts disc brakes on all four corners, fully independent front and rear suspension, rack and pinion steering, and that twin cam engine producing 105 bhp at 5500 rpm, 108 ft-lbs of torque at 4000 rpm, fed by two twin choke 40 DCOE Weber carburetors. Motoring enthusiasts quickly realized just how good the Lotus Elan was, and it became a high water mark for other automakers both in the 1960s and much later – the original Mazda MX-5 (Miata) was rumored to be based on the look and feel of the Elan. 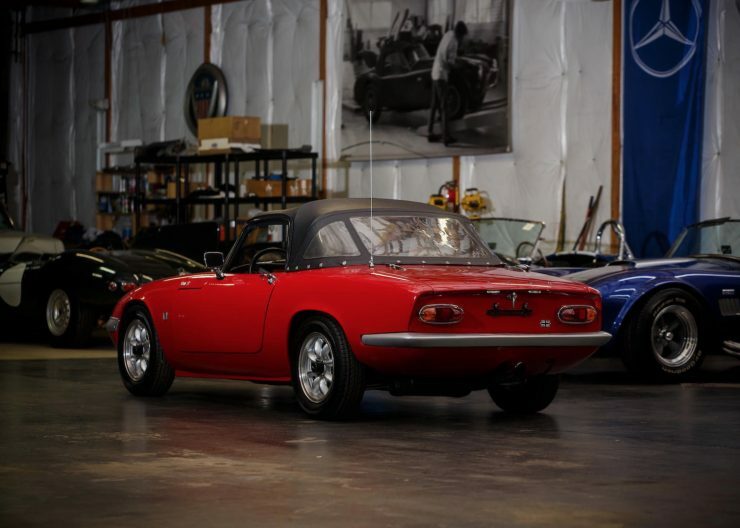 Production of the Elan would run from 1962 till 1973, and it included both roadster and coupe body types, as well as the Elan 2+2 which was a longer wheelbase version with two rear seats. 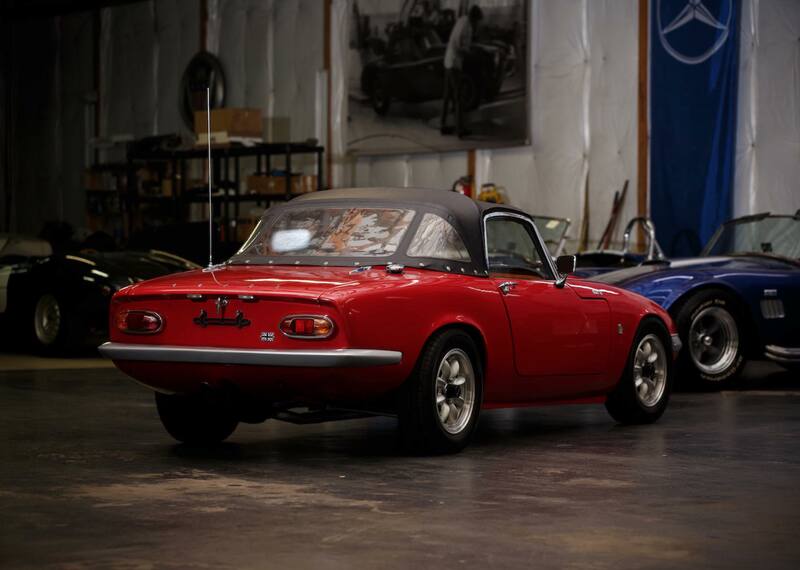 There would be six major iterations of the original Elan including the 1500, the 1600, the S2, S3, S4, and the Sprint. 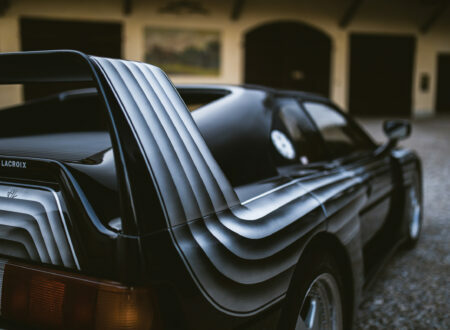 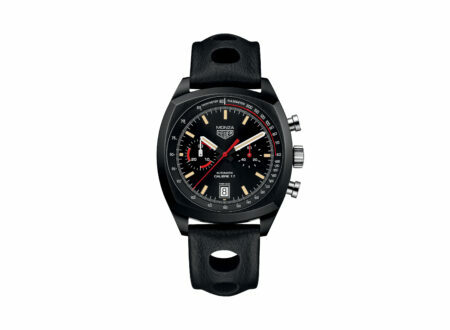 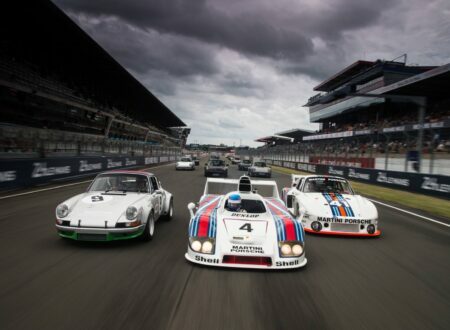 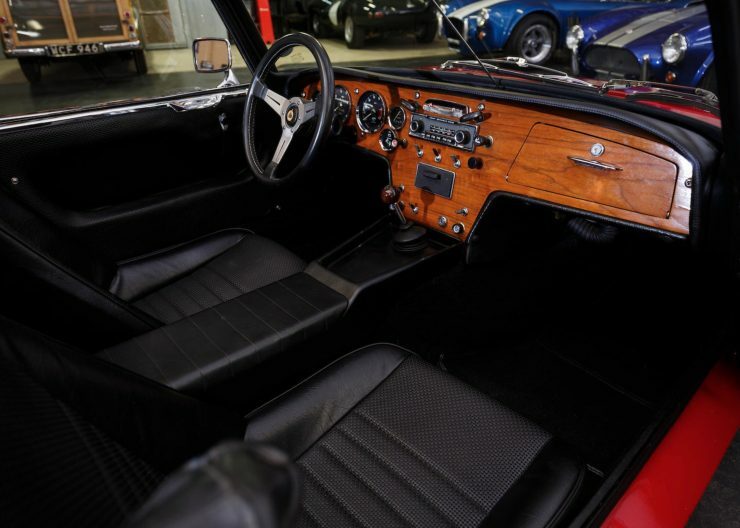 Today these cars are highly prized by both collectors and enthusiasts, and they offer a driving experience still largely unparalleled for its purity. 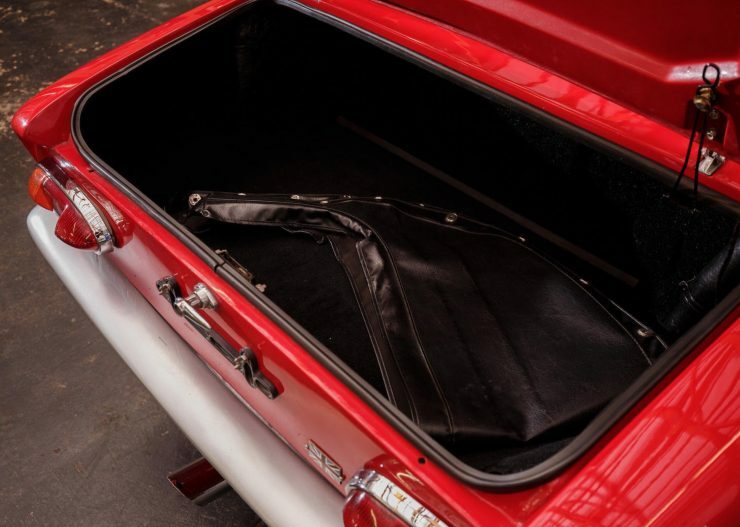 The 1966 Lotus Elan you see here has been comprehensively restored after an easy life in Florida and Arizona, both the mechanical and body elements have all been rebuilt, and the engine has been upgraded to the more powerful “Sprint” specification. The car now looks immaculate with a red exterior, Panasport alloy wheels, black interior, leather trimmed steering wheel, Smiths gauges, and of course, that distinctive wooden dashboard. 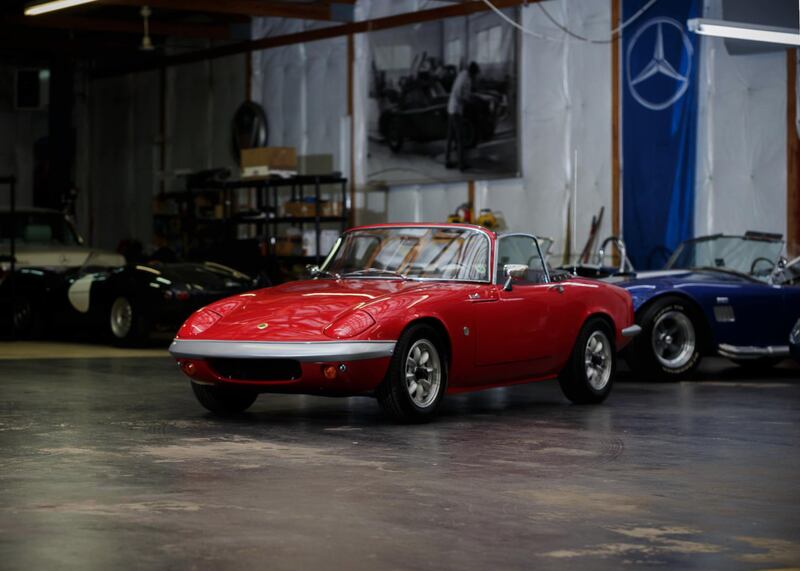 If you’d like to read more about this Elan or register to bid you can click here to visit the listing on Bonhams.